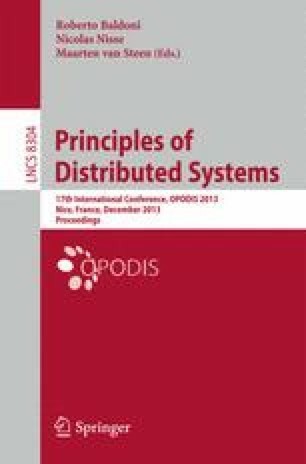 Inspired by the proliferation of cloud-based services, this paper studies consensus, one of the most fundamental distributed computing problems, in a hybrid model of computation. In this model, processes (or nodes) exchange information by passing messages or by accessing a reliable and highly-available register hosted in the cloud. The paper presents a formal definition of the model and problem, and studies performance tradeoffs related to using such a register. Specifically, it proves a lower bound on the number of register accesses in deterministic protocols, and gives a simple deterministic protocol that meets this bound when the register is compare-and-swap (CAS). In addition, two efficient protocols are presented; the first one is probabilistic and solves consensus with a single CAS register access in expectation, while the second one is deterministic and requires a single CAS register access when some favorable network conditions occur. A benefit of those protocols is that they can ensure both liveness and safety, and only their efficiency is affected by the probabilistic and timing assumptions. This work is partially supported by the Israeli Science Foundation grant 1247/09 and by the Technion Hasso Plattner Research School.